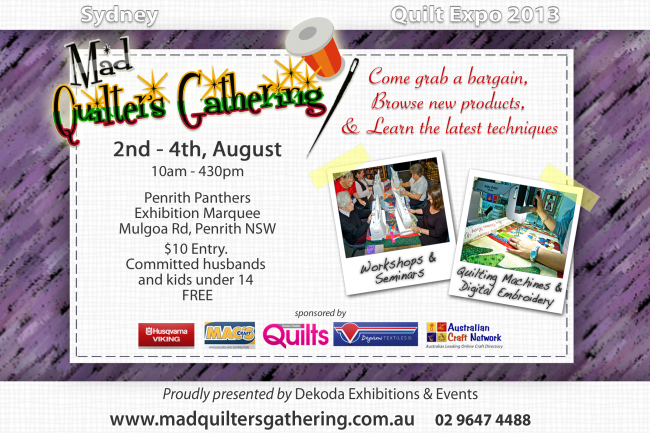 Fabric | Eastwood Patchwork Quilters Inc.
We all love a fabric sale! Here’s some great news from one of Eastwood Patchwork Quilters favourite fabric stores – take some time out from your stitching and get down there before Easter Saturday. Sale starts on Saturday 16 March and finishes on Saturday 30 March (yes Easter Saturday). 25% OFF ALL FABRICS, 30 CM MINIMUM CUT. 25% OFF ALL PRE-CUT FAT QUARTERS. SALE IN STORE AND ON-LINE.